She came looking for peace, but found her greatest challenge yet 25 years on Vancouver’s Drug Enforcement Task Force, didn’t prepare Inspector Linda Lundbreck for Chinook County. Now she must contend with conspiracy and murder in a town that doesn’t trust her one bit. Chinook County Mysteries is a whodunit featuring Inspector Linda Lundbreck, who is ready to wrap up a tough 25 years in Vancouver’s Drug Enforcement division. So when her mother’s health takes a turn, Linda finds herself moving back to the town where she grew up but never fit in. The move turns out to be less of an escape than she’d hoped, because when a journalist from out of town turns up dead from an apparent overdose, Linda’s past comes flooding back. With her big city tactics at odds with the locals and her PTSD surfacing, Linda finds herself investigating a crime that digs deep into the private lives of the entire town. With steadying help from her new Constable, a string of lies, cover-ups and systematic medical malpractice comes to light. 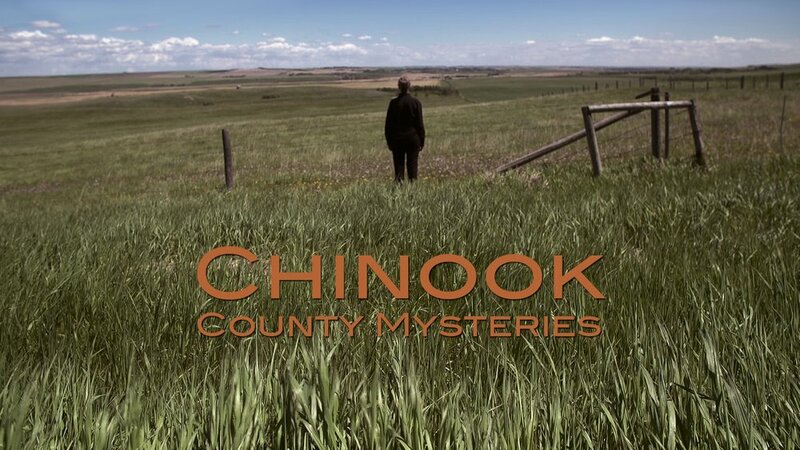 Chinook Country Mysteries is tailored to women aged 35-60, who enjoy a “whodunit” with strong cultural influences and personal intrigue along the lines of Dicte, Happy Valley and Midsommer Murders. 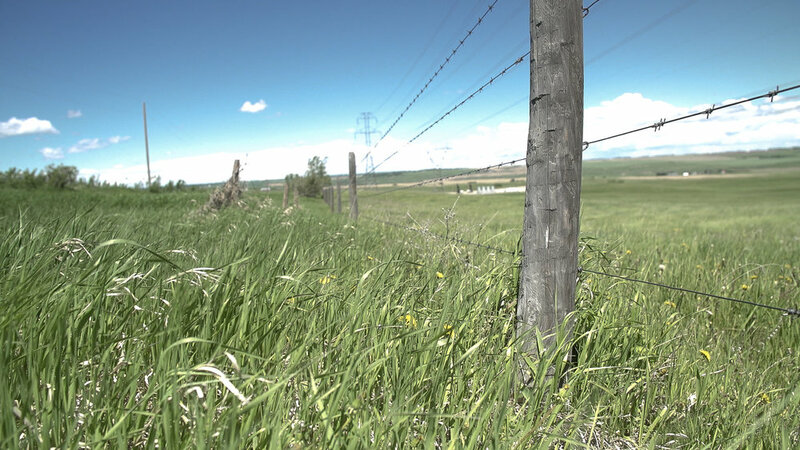 It would also tap into the Audiences that appreciate the rural landscapes and western tales of shows like Heartland. Our Social Media Strategy will target murder mystery lovers as well as fans of the lead actors including Barbara Gates Wilson (Inspector Linda Lundbreck) a long time Calgary theatre and film actress, Michelle Morgan (Leslie Cannon) of Heartland and Jeff Haslam (Larry Lundbreck) of Teatro la Quindicina in Edmonton and artistic director at the Varscona Theatre. We will hire a social media strategist and target our audience by purchasing ads on Google, Twitter and Facebook. We will use photographs and video gathered during all stages of production and a blogged production journal as promotional material as well. Leading up to release we will produce a teaser trailer. We’ve already started engaging with our audience via Twitter and Facebook. Inspector Linda Lundbreck (50): A dedicated officer for Vancouver’s Drug Enforcement Division, Linda is very good at her job, but the fentanyl crisis has taken its toll, so when her mother health takes a turn for the worse, Linda finds herself negotiating a move back to her rural Alberta hometown. A town she couldn’t wait to leave the moment she graduated high school. After a month Linda, her husband Larry and their dog Rimbey have settled into a mundane but safe existence. The tranquility ends when Calgary journalist Sam Haskey turns up dead from what Linda suspects is an overdose, but the skills that were so effective in Vancouver aren’t going over well in a town that now considers her an outsider. That coupled with often crippling PTSD and an obstructionist supervisor means that Linda has her work cut out for her. Constable Robin Baudin (25): Six months ago Constable Robin Baudin, from Toronto, received his first placement at the Chinook County Detachment. He is working hard to fit in and make friends and excited to work with such an experienced Investigator as Lundbreck. Baudin finds himself mediating between Lundbreck and the locals, surreptitiously softening the blows of her battle hardened tactics. The social structure of Chinook County is ridged and it’s hard for an outsider to break in, so the isolation is getting to him. Still, the enthusiasm of youth coupled with a sense of adventure make for an interesting companion to the intense and thoughtful Inspector Lundbreck. Larry Lundbreck (49): Larry loves living in the country. Though he has little in common with his neighbors and his metrosexual Vancouver artist style being at odds with the Chinook County understanding of manhood, his easygoing nature and enthusiasm for large scale farm equipment whittles away on their defenses. Larry is a sculptor and the old farmland provides an endless supply of scrap metal to use in his work. Larry watched Linda come apart during her work in Vancouver and hopes that the move will help her recover from the things she’s experienced. When Sam Haskey turns up dead, the possibility of a drug related death has him worried for Linda’s well being. Dr. Gerald Strang (72): Dr. Strang retired recently after the death of a young patient in his care. At this point he doesn’t know if it was his fault or not, but he just couldn’t handle the responsibility of being a doctor anymore. Dr. Strang knows he made a mistake long ago that resulted in the death of Leslie Cannon’s older sister, but the maneuvering of his long time colleague, Nurse Aferbee, made sure the proper procedure for an “adverse event” wasn’t followed. He became an alcoholic and continued to make mistakes, but because of Nurse Aferbee, his practice went unquestioned. In response to internalized failure he developed a habit of over-diagnoses, and because he was always diagnosing and then “successfully treating” non-existent ailments the townsfolk have an exaggerated impression of the abilities of their former doctor. He might have been a good doctor with the proper oversight but constant enabling, a weakness in character and fear of discovery created a dangerous man. Nurse Helena Aferbee (67): With an energy that defies her age, this semi-retired nurse is always on the move. She runs several committees and church groups, organizes events and townspeople effectively and militantly. She is always popping in on her neighbours in need of care, including Linda’s mother, which is of great comfort to Linda. She has been feeding a lifelong obsessive love for Dr. Strang, faithfully covering up his faults and bullying those who questioned his competency. She feeds the fire of his over-diagnoses and lives and breaths the elation of “catching an unknown ailment just in time” reinforcing his diagnoses with a little tampering. When journalist Sam Haskey comes to town asking questions and stirring up the past, Aferbee attempts to silence all further inquiries by administering a fatal dose of the Thallium. Leslie Cannon (36): Leslie is a timid over-thinker who has suffered numerous losses in her life, including both her parents, who died in a car crash rushing to the hospital in the neighboring county. She is a teacher at the local school and was very successful up until a favorite student died unexpectedly during a routine operation. Ever since then, she hasn’t been herself. Her friends are worried about her and the school principal is concerned about her performance. She has started to remember her parents complaining about the local hospital and has become paranoid that some kind of conspiracy is going on. Why is nobody talking about a perfectly healthy young patient dying from a dislocated shoulder? Why did her family never use the local hospital? And why was her mother willing to risk their lives by racing all the way to Didsbury? She calls on the help of journalist Sam Haskey, an old friend from University, for help. When he turns up dead she assumes she’ll be next.